1. Overington, J.P., Al-Lazikani, B., Hopkins, A.L. (2006) How many drug targets are there? Nat Rev Drug Discov. 5, 993-996. 2. Parrill, A.L. (2008) Crystal structures of a second G protein-coupled receptor: Triumphs and implications. ChemMedChem. 3,1021-1023. 3. Okada, T., Fujiyoshi, Y., Silow, M., Navarro, J., Landau, E.M., Shichida, Y. (2002) Functional role of internal water molecules in rhodopsin revealed by X-ray crystallography. Proc Natl Acad Sci U S A. 99, 5982-5987. 4. Archer, E., Maigret, B., Escrieut, C., Pradayro, L., Fourmy, D. (2003) Rhodopsin crystal: New template yielding realistic models of G-protein-coupled receptors? Trends Pharmacol Sci. 24 , 36 - 40 . 5. Bissantz, C., Bernard, P., Hibert, M., Rognan, D. (2003) Protein-based virtual screening of chemical databases. II. Are homology models of G-protein coupled receptors suitable targets? Proteins. 50 , 5 - 25 . 6. Barton, N.,Blaney,F.E., Garland, S.,Tehan,B., Wall, I. (2007) Seven transmembrane G protein-coupled receptors: Insights for drug design from structure and modeling. In Comprehensive Medicinal Chemistry II, ed. J.B. Taylor, D.J. Triggle. Amsterdam: Elsevier, pp. 669 - 701 . 7. Barak, L.S., Ménard, L., Ferguson, S.S.G., Colapietro, A.-M., Caron, M.G. (1995) The conserved seven-transmembrane sequence NP(X)23Y of the G-protein-coupled receptor superfamily regulates multiple properties of the p2-adrenergic receptor. Biochemistry. 34,15407-15414. 8. Ghanouni, P., Gryczynski, Z., Steenhuis, J.J., Lee, T.W., Farrensi, D.L., Lakowicz, J.R., Kobilka, B.K. (2001) Functionally different agonists induce distinct conformations in the G protein coupling domain of the P2 adrenergic receptor. J Biol Chem. 276, 24433-24436. 9. Swaminath, G., Xiang, Y., Lee,T.W., Steenhuis, J., Parnot, C., Kobilka, B.K. (2004) Sequential binding of agonists to the p2 adrenoceptor. Kinetic evidence for intermediate conformational states. J Biol Chem. 279, 686-691. 10. Swaminath, G., Deupi, X., Lee, T.W., Zhu, W., Thian, F.S., Kobilka, T.S., Kobilka, B. (2005) Probing the P2 adrenoceptor binding site with catechol reveals differences in binding and activation by agonists and partial agonists. J Biol Chem. 280 , 22165 - 22171 . 11. Yao, X., Parnot, C., Deupi, X., Ratnala, V.R.P., Swaminath, G., Farrens, D., Kobilka, B. (2006) Coupling ligand structure to specific conformational switches in the p2-adrenoceptor. Nat Chem Biol. 2 , 417 - 422 . 12. Reggio, P.H. (2006) Computational methods in drug design: Modeling G proteincoupled receptor monomers, dimers, and oligomers. AAPS J. 8, E322-E336. 13. Kobilka, B.K., Deupi, X. (2007) Conformational complexity of G-protein-coupled receptors. Trends Pharmacol Sci. 28 , 397 - 406 . 14. Violin, D.J., Lefkowitz, R.J. (2007) P-arrestin-biased ligands at seven-transmem-brane receptors. Trends Pharmacol Sci 28,416-421. 15. Weis, W.I., Kobilka, B.K. (2008) Structural insights into G-protein-coupled receptor activation . Curr Opin Struct Biol. 18 , 734 - 740 . 16. Mustafi, D., Palczewski, K. (2009) Topology of class A G protein-coupled receptors: Insights gained from crystal structures of rhodopsins, adrenergic and adenosine receptors. Mol Pharmacol. 75,1-12. 17. Topiol, S., Sabio, M. (2009) X-ray structure breakthroughs in the GPCR transmembrane region. Biochem Pharmacol. 78,11-20. 18. Altschul, S.F., Madden,T.L., Schaffer,A.A., Zhang, J., Zhang, Z., Miller,W., Lipman, D.J. (1997) Gapped BLAST and PSI-BLAST: A new generation of protein database search programs. Nucleic Acids Res. 25, 3389-3402. 19. Filipek, S., Teller, D.C., Palczewski, K., Stenkamp, R. (2003) The crystallographic model of rhodopsin and its use in studies of other G protein-coupled receptors. Annu Rev Biophys Biomol Struct. 32 , 375 - 397 . 20. Standfuss, J., Xie, G., Edwards, P.C., Burghammer, M., Oprian, D.D., Schertler, G.F.X. (2007) Crystal structure of a thermally stable rhodopsin mutant. J Mol Biol. 372 , 1179 - 1188 . 21. Rasmussen,S.G.F., Choi,H.-J.,Rosenbaum,D.M.,Kobilka,T.S.,Thian,F.S.,Edwards, P.C., Burghammer, M., Ratnala, V.R.P., Sanishvili, R., Fischetti, R.F., Schertler, G.F.X., Weis, W.I., Kobilka, B.K. (2007) Crystal structure of the human p2 adrenergic G - protein - coupled receptor. Nature. 450 , 383 - 388 . High-resolution crystal structure of an engineered human ß2-adrenergic G proteincoupled receptor. Science. 318,1258-1265. 23. Rosenbaum, D.M., Cherezov, V., Hanson, M.A., Rasmussen, S.G.F., Thian, F.S., Kobilka, T.S., Choi, H.-J., Yao, X.-J., Weis, W.I., Stevens, R.C., Kobilka, B.K. (2007) GPCR engineering yields high-resolution structural insights into ß2-adrenergic receptor function. Science. 318 , 1266 - 1273 . 24. Faham, S., Boulting, G.L., Massey, E.A., Yohannan, S., Yang, D., Bowie, J.U. (2005) Crystallization of bacteriorhodopsin from bicelle formulations at room temperature. Protein Sci. 14 , 836 - 840 . 25. Landau, E.M., Pebay-Peyroula, E., Neutze, R. (2003) Structural and mechanistic insight from high resolution structures of archaeal rhodopsins. FEBS Lett. 555 , 51 - 56 . 26. Cherezov, V., Peddi, A., Muthusubramaniam, L., Zheng, Y.F., Caffrey, M. (2004) A robotic system for crystallizing membrane and soluble proteins in lipidic meso-phases. Acta Crystallogr. D60,1795-1807. 27. Hanson, M.A., Cherezov, V., Griffith, M.T., Roth, C.B., Jaakola, V.-P., Chien, E.Y.T., Velasquez, J., Kuhn, P., Stevens, R.C. (2008) A specific cholesterol binding site is established by the 2.8 A structure of the human ß2-adrenergic receptor. Structure. 16 , 897 - 905 . 28. Warne, T., Serrano-Vega, J., Baker, J.G., Moukhametzianov, R., Edwards, P.C., Henderson, R., Leslie, A.G.W., Tate, C.G., Schertler, G.F.X. (2008) Structure of a ß1-adrenergic G-protein coupled receptor. Nature 454, 486-492. 29. Jaakola, V.-P., Griffith, M.T., Hanson, M.A., Cherezov, V., Chien, E.Y.T., Lane, J.R., Ijzerman, A.P., Stevens, R.C. (2008) The 2.6 angstrom crystal structure of a human A2A adenosine receptor bound to an antagonist. Science. 322,1211-1217. 30. Okada,T.,Takeda, K., Kouyama,T. (1998) Highly selective separation of rhodopsin from bovine rod outer segment membranes using combination of divalent cation and alkyl(thio)glucoside. Photochem Photobiol. 67, 495-499. 31. Park, J.H., Scheerer, P., Hofmann, K.P., Choe, H.-W., Ernst, O.P. (2008) Crystal structure of the ligand - free G - protein - coupled receptor opsin . Nature. 454 , 183 - 188 . 32. Unwin, P.N.T., Henderson, R. (1975) Molecular structure determination by electron microscopy of unstained crystalline specimens. J Mol Biol. 94 , 425 - 440 . 33. Leifer, D., Henderson, R. (1983) Three-dimensional structure of orthorhombic purple membrane at 6.5 A resolution. J Mol Biol. 163, 451-466. 34. Unger, V.M., Schertler, G.F.X. (1995) Low resolution structure of bovine rhodopsin determined by electron cryo- microscopy. Biophys J. 68 , 1776 - 1786 . 35. Pebay-Peyroula, E., Rummel, G., Rosenbusch, J.P., Landau, E.M. (1997) X-ray structure of bacteriorhodopsin at 2.5 A from microcrystals grown in lipidic cubic phases. Science. 277 , 1676 - 1681 . 36. Luecke, H., Schobert, B., Richter, H.-T., Cartailler, J.-P., Lanyi, J.K. (1999) Structure of bacteriorhodopsin at 1.55 A resolution. J Mol Biol. 291, 899-911. 37. Röper, D.,Jacoby,E., Krüger,P., Engels, M., Grötzinger, J.,Wollmer,A., Straßburger, W. (1994) Modeling of G-protein coupled receptors with bacteriorhodopsin as a template. A novel approach based on interaction energy differences. J Recept Res. 14,167-186. 38. Gershengorn, M.C., Osman, R. (2001) Minireview: Insights into G protein-coupled receptor function using molecular models. Endocrinology. 142 , 2 - 10 . 39. Klabunde, T., Hessler, G. (2002) Drug design strategies for targeting G-protein-coupled receptors. Chem Bio Chem. 3 , 928 - 944 . 40. Becker, O.M., Shacham, S., Marantz, Y., Noiman, S. (2003) Modeling the 3D structure of GPCRs: Advances and application to drug discovery. Curr Opin Drug Discov Devel. 6 , 353 - 361 . 41. Mobarec, J.C., Filizola, M. (2008) Advances in the development and application of computational methodologies for structural modeling of G - protein - coupled receptors. Expert Opin Drug Discov. 3, 343-355. 42. Schertler, G.F.X., Villa, C., Henderson, R. (1993) Projection structure of rhodopsin. Nature. 362, 770-772. 43. Patny,A.,Desai,P.V., Avery, M.A. (2006) Homology modeling of G-protein-coupled receptors and implications in drug design. Curr Med Chem. 13,1667-1691. 44. Yuzlenko, O., Kiec'-Kononowicz, K. (2009) Molecular modeling of A1 and A2A adenosine receptors: Comparison of rhodopsin- and p2-adrenergic-based homol-ogy models through the docking studies. J Comp Chem. 30 , 14 - 32 . 45. Ballesteros, J.A., Weinstein, H. (1995) Integrated methods for the construction of three-dimensional models and computational probing of structure-function relations in G protein-coupled receptors. Methods Neurosci. 25, 366-428. 46. Schwartz , T.W. , Frimurer, T.M. , Holst , B. , Rosenkilde, M.M. , Elling, C.E. ( 2006 ) Molecular mechanism of 7TM receptor activation—A global toggle switch model. Annu Rev Pharmacol Toxicol. 46, 481-519. 47. Ballesteros, J., Kitanovic, S., Guarnieri, F., Davies, P., Fromme, B.J., Konvicka, K., Chi , L. , Millar, R.P. , Davidson , J.S. , Weinstein , H. , Sealfon , S.C. ( 1998 ) Functional microdomains in G-protein-coupled receptors. The conserved arginine-cage motif in the gonadotropin-releasing hormone receptor. J Biol Chem. 273,1044510453. 48. Ballesteros, J.A. , Jensen , A.D. , Liapakis, G. , Rasmussen , S.G.F. , Shi , L. , Gether, U. , Javitch , J.A. 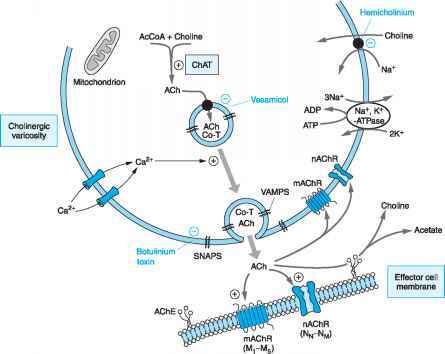 ( 2001 ) Activation of the p2-adrenergic receptor involves disruption of an ionic lock between the cytoplasmic ends of transmembrane segments 3 and 6. J Biol Chem. 276, 29171-29177. 49. Shimamura, T., Hiraki, K., Takahashi, N., Hori, T., Ago, H., Masuda, K., Takio, K., Ishiguro, M., Miyano, M. (2008) Crystal structure of squid rhodopsin with intracel-lularly extended cytoplasmic region. J Biol Chem. 283,17753-17756. 50. Murakami, M., Kouyama, T. (2008) Crystal structure of squid rhodopsin. Nature. 453 , 363 - 368 . 51. Scheerer, P., Park, J.H., Hildebrand, P.W., Kim, Y.J., Krauss, N., Choe, H.-W., Hofmann, K.P., Ernst, O.P. (2008) Crystal structure of opsin in its G-protein-interacting conformation . Nature. 455 , 497 - 503 . 52. Schwartz, T.W., Hubbell, W.L. (2008) A moving story of receptors. Nature. 455, 473 - 474 . 53. Cohen, G.B., Oprian, D.D., Robinson, P.R. (1992) Mechanism of activation and inactivation of opsin: Role of Glu113 and Lys296. Biochemistry. 31,12592-12601. 54. Vogel, R., Siebert, F. (2001) Conformations of the active and inactive states of opsin. J Biol Chem. 276, 38487-38493. 55. Lamb,T.D., Pugh Jr., E.N. (2004) Dark adaptation and the retinoid cycle of vision. Prog Retin Eye Res. 23, 307-380. 56. Xie, X.-Q., Chen, J.-Z., Billings, E.M. (2003) 3D structural model of the G-protein-coupled cannabinoid CB2 receptor. Proteins. 53, 307-319. 57. Vaidehi, N., Floriano, W.B., Trabanino, R., Hall, S.E., Freddolino, P., Choi, E.J., Zamanakos, G., Goddard III, W.A. (2002) Prediction of structure and function of G protein-coupled receptors. Proc Natl Acad Sci USA. 99,12622-12627. 58. Shacham, S., Topf, M., Avisar, N., Glaser, F., Marantz, Y., Bar-Haim, S., Noiman, S., Naor, Z., Becker, O.M. (2001) Modeling the 3D structure of GPCRs from sequence. Med Res Rev. 21 , 472 - 483 . 59. Kortagere, S., Welsh, W.J. (2006) Development and application of hybrid structure based method for efficient screening of ligands binding to G-protein coupled receptors. J Comput Aided Mol Des. 20,789-802. 60. Moro, S., Deflorian, F., Bacilieri, M., Spalluto, G. (2006) Ligand-based homology modeling as attractive tool to inspect GPCR structural plasticity. Curr Pharm Des. 12 , 2175 - 2185 . 61. Topiol, S., Sabio, M. (2008) Use of the X-ray structure of the beta2-adrenergic receptor for drug discovery. Bioorg Med Chem Lett. 18,1598-1602. 62. Sabio, M., Jones, K.,Topiol, S. (2008) Use of the X-ray structure of the ß2-adrenergic receptor for drug discovery. Part 2: Identification of active compounds. Bioorg Med Chem Lett. 18, 5391-5395. 63. Costanzi, S. (2008) On the applicability of GPCR homology models to computer-aided drug discovery: A comparison between in silico and crystal structures of the ß2-adrenergic receptor. J Med Chem. 51, 2907-2914. 64. Freddolino, P.L., Kalani, M.Y.S., Vaidehi, N., Floriano, W.B., Hall, S.E., Trabanino, R.J., Kam, V.W.T., Goddard III, W.A. (2004) Predicted 3D structure for the human ß2 adrenergic receptor and its binding site for agonists and antagonists. Proc Natl Acad Sci U S A. 101, 2736-2741. 65. Selent, J., López, L., Sanz, F., Pastor, M. (2008) Multi-receptor binding profile of clozapine and olanzapine: A structural study based on the new ß2 adrenergic receptor template. ChemMedChem. 3,1194-1198. 66. de Graaf, C., Rognan, D. (2008) Selective structure-based virtual screening for full and partial agonists of the ß2 adrenergic receptor. J Med Chem. 51, 4978-4985; erratum 51, 6620. 67. Baker, J.G., Proudman, R.G.W., Hawley, N.C., Fischer, P.M., Hill, S.J. (2008) Role of key transmembrane residues in agonist and antagonist actions at the two conformations of the human ß1-adrenoceptor. Mol Pharm. 74,1246-1260. 68. Lee,T., Schwandner, R., Swaminath, G., Weiszmann, J., Cardozo, M., Greenberg, J., Jaeckel , P. , Ge, H. , Wang, Y. , Jiao, X. , Liu , J. , Kayser, F. , Tian , H. , Li , Y. ( 2008 ) Identification and functional characterization of allosteric agonists for the G protein-coupled receptor FFA2. Mol Pharm. 74,1599-1609. 69. Kew, J.N.C. (2004) Positive and negative allosteric modulation of metabotropic glutamate receptors: Emerging therapeutic potential. Pharmacol Ther. 104,233-244. 70. Ritzén, A., Mathiesen, J.M.,Thomsen, C. (2005) Molecular pharmacology and therapeutic prospects of metabotropic glutamate receptor allosteric modulators. Basic Clin Pharmacol Toxicol. 97 , 202 - 213 . 71. Marino, M.J., Conn, P.J. (2006) Glutamate-based therapeutic approaches: Allosteric modulators of metabotropic glutamate receptors. Curr Opin Pharmacol. 6, 98-102. 72. Goudet, C., Gaven, F., Kniazeff, J., Vol, C., Liu, J., Cohen-Gonsaud, M., Acher, F., Prezeau, L., Pin, J.P. (2004) Heptahelical domain of metabotropic glutamate receptor 5 behaves like rhodopsin-like receptors. Proc Natl Acad Sci USA. 101,378-383. 73. Kunishima, N., Shimada, Y., Tsuji, Y., Sato, T., Yamamoto, M., Kumasaka, T., Nakanishi, S., Jingami, H., Morikawa, K. (2000) Structural basis of glutamate recognition by a dimeric metabotropic glutamate receptor. Nature. 407, 971-977. 74. Tsuchiya,D.,Kunishima,N.,Kamiya,N.,Jingami,H.,Morikawa,K. (2002)Structural views of the ligand-binding cores of a metabotropic glutamate receptor complexed with an antagonist and both glutamate and Gd3+. Proc Natl Acad Sci U S A. 99, 2660 - 2665 . 75. Muto,T.,Tsuchiya, D., Morikawa, K., Jingami, H. (2007) Structures of the extracellular regions of the group II/III metabotropic glutamate receptors. Proc Natl Acad Sci U S A. 104 , 3759 - 3764 . 76. Parnot, C., Kobilka, B. (2004) Toward understanding GPCR dimers. Nature Struct Mol Biol. 11 , 691 - 692 . 77. Costantino, G. (2006) In silico approaches towards the understanding of the structure-function relationships in metabotropic glutamate receptors (mGluRs) and other family C GPRCs. Curr Pharm Des. 12 , 2159 - 2173 . 78. O'Hara, P.J., Sheppard, P.O.,Thogersen, H.,Venezia, D., Haldeman, B.A., McGrane, V., Houamed, K.M.,Thomsen, C., Gilbert, T.L., Mulvihill, E.R. (1993) The ligand-binding domain in metabotropic glutamate receptors is related to bacterial peri-plasmic binding proteins. Neuron. 11,41-52. 79. Hampson, D.R., Huang, X.-P., Pekhletski, R., Peltekova, V., Hornby, G., Thomsen, C.,Th0gersen,H. (1999) Probing the ligand-binding domain of the mGluR4 subtype of metabotropic glutamate receptor. J Biol Chem. 274, 33488-33495. 80. Malherbe, P., Knoflach,F., Broger, C., Ohresser, S., Kratzeisen, C.,Adam, G., Stadler, H., Kemp, J.A., Mutel, V. (2001) Identification of essential residues involved in the glutamate binding pocket of the group II metabotropic glutamate receptor. Mol Pharmacol. 60 , 944 - 954 . 81. Dominguez, C., Prieto, L.,Valli, M.J., Massey, S.M.,Bures, M.,Wright, R.A., Johnson, B.G., Andis, S.L., Kingston, A., Schoepp, D.D., Monn, J.A. (2005) Methyl substitution of 2-sminobicyclo[3.1.0]hexane 2,6-dicarboxylate (LY354740) determines functional activity at metabotropic glutamate receptors: Identification of a subtype selective mGlu2 receptor agonist. J Med Chem. 48, 3605-3612. 82. Monn, J.A., Massey,S.M.,Valli, M.J., Henry,S.S., Stephenson, G.A., Bures, M.,Herin, M., Catlow, J., Giera, D., Wright, R.A., Johnson, B.G., Andis, S.L., Kingston, A., Schoepp, D.D. (2007) Synthesis and metabotropic glutamate receptor activity of S-oxidized variants of (-)-4-amino-2-thiabicyclo-[3.1.0]hexane-4,6-dicarboxylate: Identification of potent, selective, and orally bioavailable agonists for mGlu2/3 receptors. J Med Chem. 50, 233-240. 83. Bertrand, H.O., Bessis, A.S., Pin, J.P., Acher, F.C. (2002) Common and selective molecular determinants involved in metabotropic glutamate receptor agonist activity. J Med Chem. 45, 3171-3183. 84. Yao, Y., Pattabiraman, N., Michne, W.F., Huang, X.P., Hampson, D.R. (2003) Molecular modeling and mutagenesis of the ligand-binding pocket of the mGlu3 subtype of metabotropic glutamate receptor. J Neurochem. 86, 947-957. 85. Palczewski, K., Kumasaka, T., Hori, T., Behnke, C.A., Motoshima, H., Fox, B.A., Trong, I.L., Teller, D.C., Okada, T., Stenkamp, R.E., Yamamoto, M., Miyano, M. (2000) Crystal structure of rhodopsin: A G protein-coupled receptor. Science. 289, 739 - 745 . 86. Teller, D.C., Okada, T., Behnke, C.A., Palczewski, K., Stenkamp, R.E. (2001) Advances in determination of a high-resolution three - dimensional structure of rhodopsin, a model of G-protein-coupled receptors (GPCRs) . Biochemistry. 40, 7761-7772. 87. Li, J., Edwards, P.C., Burghammer, M., Villa, C., Schertler, G.F.X. (2004) Structure of bovine rhodopsin in a trigonal crystal form. J Mol Biol. 343 , 1409 - 1438 . 88. Okada , T. , Sugihara , M. , Bondar, A. - N. , Elstner, M. , Entel , P. , Buss, V. ( 2004 ) The retinal conformation and its environment in rhodopsin in light of a new 2.2 A crystal structure. J Mol Biol. 342 , 571 - 583 . 89. Nakamichi , H. , Okada , T. ( 2006 ) Local peptide movement in the photoreaction intermediate of rhodopsin. Proc Natl Acad Sci U S A. 103,12729-12734. 90. Nakamichi, H., Okada, T. (2006) Crystallographic analysis of primary visual photochemistry. Angew Chem Int Ed Engl. 45 , 4270 - 4273 . 91. Salom, D., Lodowski, D.T., Stenkamp, R.E., Trong, I.L., Golczak, M., Jastrzebska, B., Harris, T., Ballesteros, J.A., Palczewski, K. (2006) Crystal structure of a photo-activated deprotonated intermediate of rhodopsin. Proc Natl Acad Sci U S A. 103 , 16123 - 16128 . 92. Nakamichi, H., Buss, V., Okada, T. (2007) Photoisomerization mechanism of rho-dopsin and 9 - cis - rhodopsin revealed by X - ray crystallography. Biophys J. 92 , L106 - L108 . 93. Stenkamp, R.E. (2008) Alternative models for two crystal structures of bovine rhodopsin . Acta Crystallogr D Biol Crystallogr. D64 , 902 - 904 . 94. Schrödinger, L.L.C. (2008) Maestro v8.5. Portland, OR.